Home » gift ideas » holidays and traditions » Thinking of Gifts for Your Children? 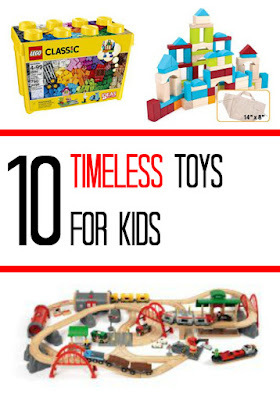 How About Timeless Toys! 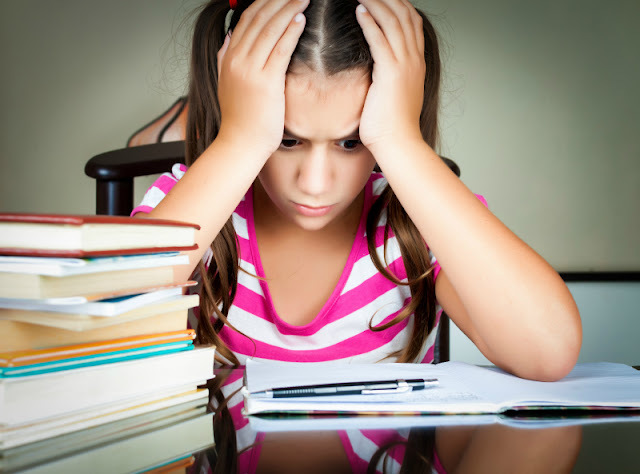 As holidays draw near, we are always faced with dilemma of what to give our children. Today I will share several ideas of what I call timeless toys for kids of all ages. I am very interested to hear what would go on your list. Disclosure: I am Amazon associate, and this post contains Amazon affiliate links. For full disclosure, please click here and thank you for supporting my blog! My daughter is very lucky when it comes to presents. She is an only grandchild and an only niece, and many adults in her life want to give her memorable gifts. Needless to say, at her ripe old age of 9 she accumulated a lot of toys, games, and trinkets of every kind. As she grows out of certain toys and games, we donate them or pass them on to our friends with younger kids. But there are toys that we won’t be giving away. For once, she is still actively playing with them at 9. Secondly, we want to put them away and keep them for our grandchildren (one can hope, right?). I call those toys timeless toys. When someone asks us what to give to our daughter, we usually say, LEGO. Not only because she likes to play with it, but because we do too! Out LEGO collection is quite large – my husband eventually transported his childhood LEGO collection over several trips back home to Germany and merged it with our existing LEGO. All we had to do with old LEGO bricks is to wash them in soapy warm water, and they were as good as new with most colors keeping their brightness over 40 years. Of course, we do not necessarily expect the sets to stay in pristine state, but we are keeping instructions from the sets as well – it’s an interesting intellectual challenge to construct a set from loose Lego bricks, not from original bricks. Over time we had a lot of interesting LEGO projects going in our house, you could check them out in LEGO category. Is your child into horses? Dinosaurs? Knights? Schleich has toy figures for any possible interest. When my husband was growing up, he was into Smurfs. Eventually he brought over his Smurf collection and passed it on to our daughter. His Schleich Smurfs, now 40 years old, are not much different (after a bath) then a few new Smurfs that joined our family since. Puppets were another childhood love of my husband. Both the Soviet Union where I grew up and his native Germany have a long-standing tradition of puppet theaters, and my husband loved playing with puppets when he was a kid. His parents kept his puppets, but the box was somewhat damaged and plastic parts of his puppets disintegrated over time. He ordered a new set of puppets in Germany a few years back with the same traditional German puppet characters including the main narrator and funny character called Kasper. He also built a very nice puppet theater for our daughter. She enjoys playing puppets with her friends when they come for play dates. I think that every child, boy or girl, should have a train set with at least one motorized train. I remember how our daughter would try very hard to put a set together when she was 3 and then her eyes would light up when the train would go round and round. We do not have a Brio train set that I linked up to, ours came from IKEA and was significantly simpler and significantly less expensive. Still, our motorized train engine could navigate it quite well. Last year my husband convinced me that our daughter needs a Lego train set (yeah, right), so now we plan to give IKEA wooden train set away and keep LEGO train for future generations. I did not grow up like my daughter or even like my husband. I did not have my own room and a lot of toys, because there was not enough space to keep them. But I still remember fondly my own big doll and the adventures we had together. My daughter never played with dolls much when she was little, even after my parents gave her a gorgeous and expensive American Girl doll named Kit when she was 6. Now, however, she does play with Kit, especially when one of her good friends comes over with her doll. I am linking to a less expensive doll, but overall I think that you want a doll of a good quality if you are giving it to a child over 5 and intend to keep it over time. This is why I linked to this Madame Alexander doll that is less expensive than American Girl, but still has high quality. Wooden blocks is another toy that can serve family for years and keeps well. I kept this set of Melissa and Doug blocks on my wish list, but we were lucky to find gorgeous big natural wood blocks of various shapes on the garage sale, and they are used in play quite often. I haven’t quite decided yet whether we are going to keep them – these two big bins of blocks are awfully heavy! Our daughter has many different types of building systems, but, outside of LEGO, Magna Tiles was hands-down the best toy we bought for her. She loves combining it with Playmobil and Lego Sets, and the blocks are also so pretty to look at. I can also see how great they will be further on when Smarty will need to “unfold” 3D models into 2D or do the opposite – they are simply great for geometry! We will be keeping them for the future for sure! Smarty really likes Wedgits because she seems to enjoy geometric balance of structures she can build with a limited number of pieces. We now give Wedgits to all our friends’ kids for their 4th birthday, but plan to keep ours in storage for grandchildren. Smarty always enjoyed playing with cars, and we gave her Hot Wheels track system when she was 7. She loves to build tracks and conducts complicated trials for her cars complete with time measurements and awards. I do not think that plastic tracks will keep well over time, but we will hold on to the cars and add them to a die cast cars that my husband also brought over from Germany. Of course, our German family keeps Smarty well stocked with Playmobil sets. I have a love/hate relationship with them as they are full of teeny-tiny parts. I am not enjoying it much when Smarty takes a big plastic box of “dismembered” Playmobil sets and dumps it all in the middle of her room, but… it does encourage her creativity to combine pieces from Lego, Playmobil and Magna Tiles in involved and imaginative play scenarios – I just do not want to be nowhere near her room at that time. Just as with other high quality European toys, Playmobil keeps well over time as we inherited a couple of sets from my husband and a big horse set from his friend’s daughter. I just do not envision giving this big plastic bin of Playmobil “stuff’ to anyone under the age of 5. Do your kids play with any toys you had as a child? What toys of your kids will you keep to pass to the next generation? More than 75 Kid Bloggers are ready to share their ideas with you! Find all gift guides here or click on the image above. Also follow our Gift Guides for Kids Pinterest board! None of my kids ever really got into toy cars. We had several, but they all ignored it. We are planning to hold on to Legos, Magna Tiles, Keva blocks, and American Girl Dolls. Other than that, it would be books but I've managed to give many away or donate them to the library. It's just hard to store it all. It looks like a good list. I might interchange or add Zoobs (for building), and Fisher Price Little People as slightly less expensive alternative to PlayMobile. We took the Thomas the Tank Engine route when T was little - if I could go back in time, we would have invested in PlayMobile instead, and bought a generic wooden train set.